I have squeezed in as much golf as possible in the sample itinerary below meaning you have a number of days where you are playing two courses in one day. If you would prefer a more leisurely tour with just one round per day and more time for touring we will be pleased to customize your tour to suit your requirements. You may like to take your Wales Golf Vacation as a Self Drive Wales Vacation or why not opt for a Chauffeur Driven Wales Vacation. Just sit back and let one of our fantastic driver/guides take the wheel allowing you to take in the scenery and plan your next round without worrying about the road ahead? 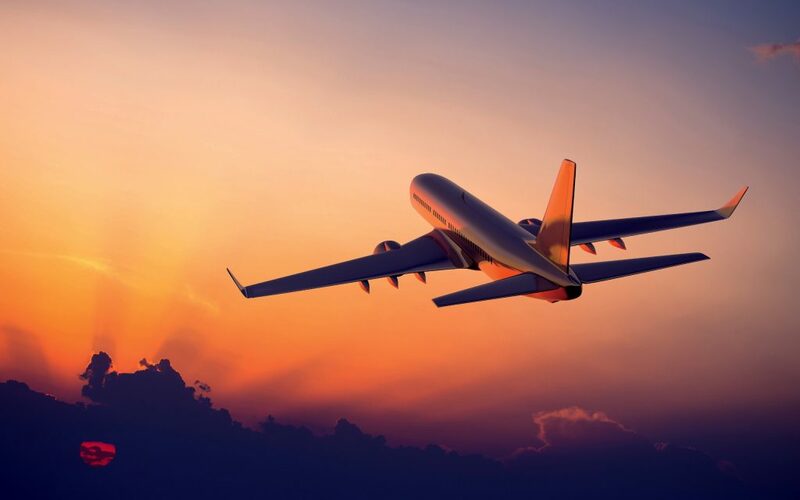 Arrive at your chosen airport – Cardiff is the nearest however even arriving into Heathrow you will only have a 2 hour drive to your first stop which is the Celtic Manor Golf Resort. Check in for a 2 night stay before heading straight out for your first round of golf on a Welsh course. Start off with the Montgomerie Course – you will have plenty of time to play the others tomorrow after resting up for the night. Enjoy a relaxing day at this 5* golf resort which boasts three excellent courses. 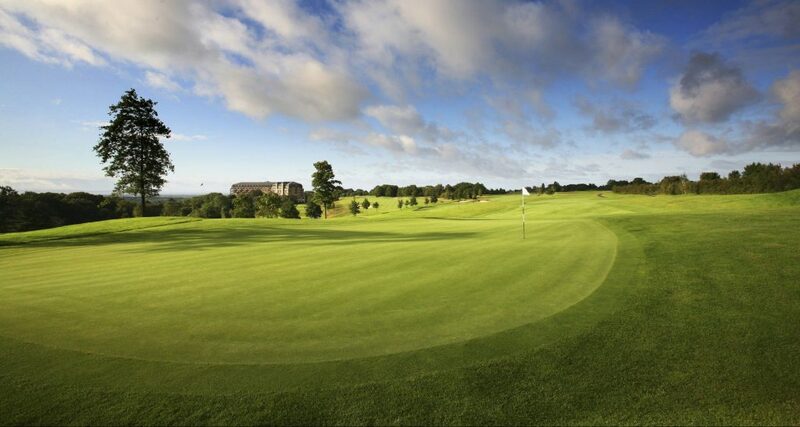 Today take on the Twenty Ten course which was specifically designed to host the Ryder Cup in – you guessed it – 2010! If you are up for it complete the hat trick with the Roman Road after lunch. Afterwards you may like to hit the spa to soak away any muscular aches and pains or why not avail of a massage for the ultimate relief? 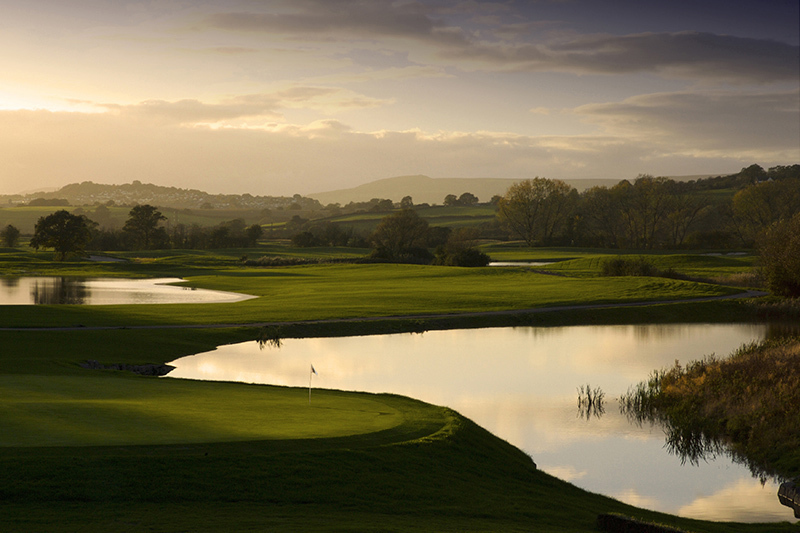 Time to bid farewell to the Celtic Manor Resort and make your way to Sunningdown for a morning tee off. 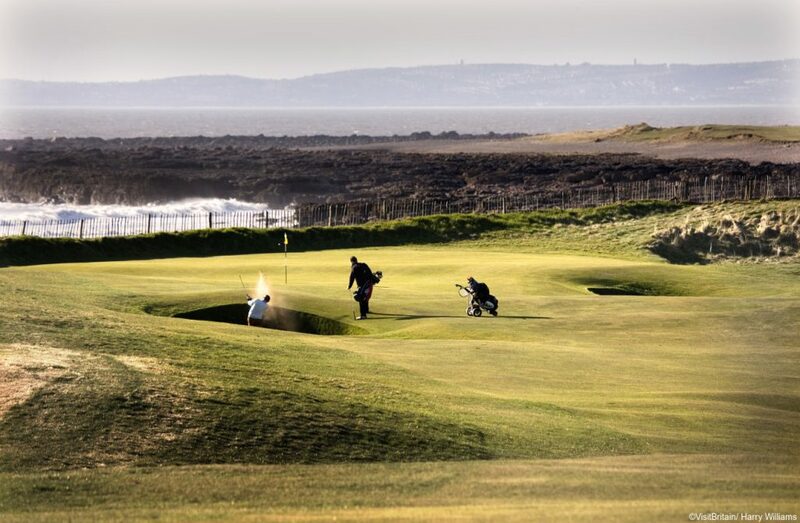 In the afternoon continue on to play Royal Porthcawl, no doubt you will be pleased to get out on a links course at last. This evening check in to your hotel in Swansea before heading out to enjoy some of the night life Wales is renowned for. Another big day of golf lies ahead today. 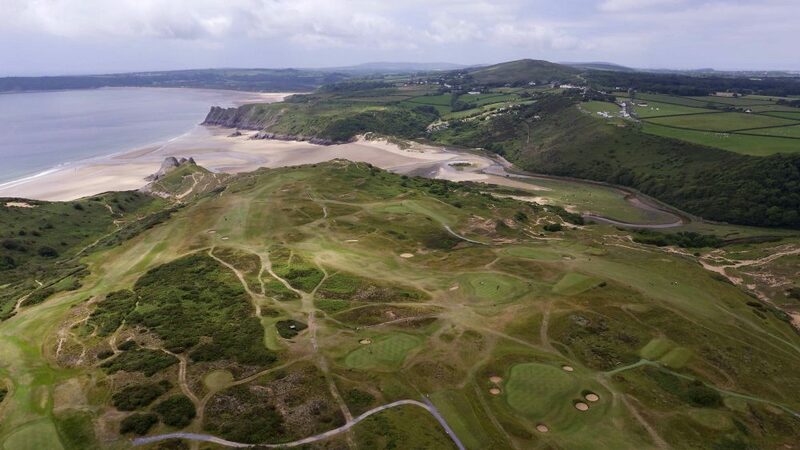 Start with a morning tee off at Pennard, also known as the “links in the sky”due to it’s situation 200ft above sea level. After lunch make your way to Ashburnham to enjoy a round of classic “out and back” links golf. In the evening return to your luxury accommodation in Swansea for a second night. Get an early start today as you travel North to Aberdovey Golf Club where another wonderful links course awaits. After taking on this latest challenge continue further North along the West Coast of Wales to the pretty coastal village of Portmeiron. Check in to your luxury hotel for a two night stay. This morning drive the short distance to Royal St David’s where you will find another excellent traditional links course. This afternoon you may like to take a break from gold and explore the Snowdonia National Park, perhaps even taking a ride on the Snowdonia Mountain Railway. In the evening return to your luxury hotel in Portmeiron. Today travel North once more – your drive will take you along the beautiful North coast of Wales past the Menai Straight and on to the pretty town of Conwy. Be sure to pay a visit to Conwy Castle before once more turning your attention to golf and your last Welsh round of the trip. 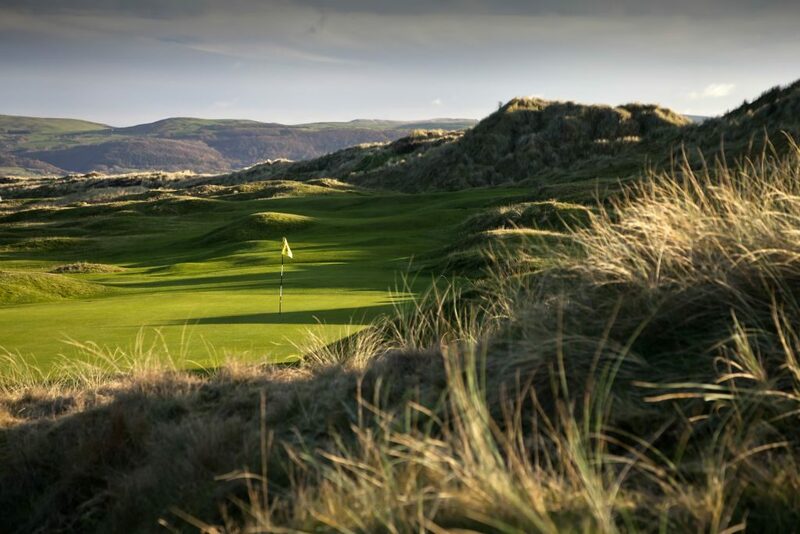 Conwy’s Championship Course is a great place to end your trip offering a challenging game plus spectacular views – all in all exactly what you want from a links course. Your nearest airports are Liverpool and Manchester but why not combine your Wales Golf Vacation with an England Golf Vacation and stay a little longer. There’s always time for more golf! Wales Golf tours include all of your luxury accommodations, breakfast every day , luxury car/coach hire with your private driver/guide or car rental. All green fees are also included. All of our Sheenco tours are individualized according to your personal needs, extra items can be added to match your preferred itinerary. You can also take advantage of our concierge service for any little extras in the run up to your trip as well as 24 hour on tour support. 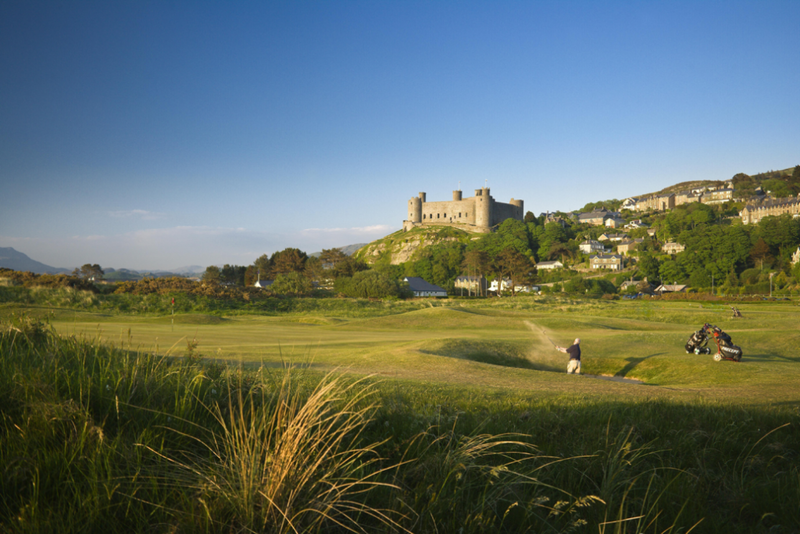 How would you like to enjoy your golf tour in Wales?